Here’s another interview in our “From the mouths of the Adcoms” series! Meet Greg Yantz, Director of MBA Recruiting and Admissions at the highly ranked Ivey Business School at Western University. Enjoy his helpful tips and advice! Q: What type of person do you think would really thrive at the Ivey Business School? 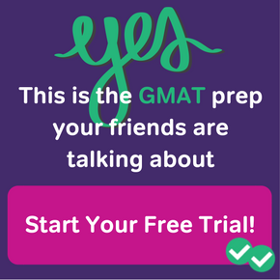 A: There is no “typical” Ivey MBA student. Ivey values diversity in terms of education background, professional experience, and geography. With that in mind, the type of student who thrives at Ivey is someone who is not afraid to stretch themselves beyond what they have done in the past. The case-method pedagogy and the diverse learning environment will push a student to think in new ways about their decision making. Someone who is open to this new way of thinking will thrive as part of the Ivey community. Also, the candidates who write about things they are passionate about have the best essays; they think outside of the box and differentiate themselves. Q: The fact is business school is expensive! So what would you recommend to students who want to go to Ivey but have financial hardships? A: Apply! Over half of our students receive some type of scholarship ranging from $10,000 to full tuition. Ivey has the most significant scholarship fund in Canada, so it would be a mistake to self-select out of the process before we have a chance to review an application. In addition, education is the best investment a person can possibly make. While it may seem expensive now, the return on the investment will only increase over time if a student graduates from a top MBA program like Ivey’s. 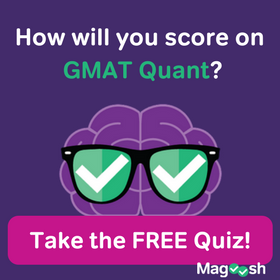 Q: Is a low GMAT score a deal breaker when it comes to getting into Ivey? Why or why not? A: Definitely not. 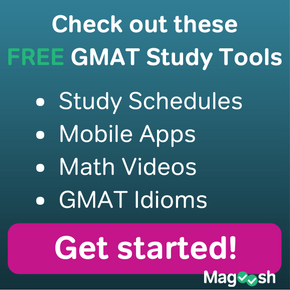 And a high GMAT score does not guarantee admission to Ivey. We have a very thoughtful admission review process that accounts for all parts of an application. It is important for the Admissions Committee to see the entire narrative of an applicant’s past, where they are now, and where they want to go after an MBA. We are looking for talent and future leaders, and that cannot be found by focusing on only one section of an application. Q: When it comes to interviews, what else are you looking to learn about the student that wasn’t already communicated in the application? A: An in-person interview (including Skype) provides the Admissions Committee with another way to assess fit with the program, specifically as it relates to communication skills and alignment of an applicant’s goals with the Ivey MBA. It also provides candidates with another opportunity to determine whether Ivey is the right place for them by asking informed questions of the interviewer. Q: It’s pretty common for international students to face language and culture barriers when they’re applying to schools outside of their homeland. So do you have any tips for students outside of Canada who’re applying to Ivey MBA? International students should view, and market, their experience as a valuable part of their portfolio. Those who have worked internationally bring a respected, and often unique, perspective on business and leadership that is valued in the classroom as well as with future employers. The fact that Ivey’s 2013 employment rate is the same for both international and domestic students supports this assertion. Q: What would you recommend for a non-traditional student who’s been working for years but doesn’t have a 4 year degree and wants to attend Ivey MBA? A: Ivey offers programs for everyone depending on where they are in their career. While the full-time MBA might not always be the best fit, there may be other Ivey programs such as Executive Development or Executive MBA (in Canada and Hong Kong) that might be a better fit for those who are at various stages in their careers. Information about all Ivey programs can be found at www.ivey.ca. All Ivey programs make use of the Ivey Case-Method as a way to practice effective decision making. Q: Do you have any advice for a student who can’t decide if an MS or an MBA is the better choice for him/her? A: I would suggest knowing one’s own career goals as a first step, even if they tend to be more general about which type of industry is desirable. For example, if someone’s career goals are more technical, then specialized Master’s Degrees tend to help with technical training for those with less work experience. But if someone’s longer term goals are more management-focused, or someone desires the development of a broader skill set to be used in transition to a new career, then a general management MBA, like Ivey’s, is worth considering. Incidentally, a specialized Master’s does not preclude completing an MBA at a later stage in one’s career. It is a matter of determining what would be most beneficial to someone given their current experience and future goals. Our recruiting team’s mission is to help with the decision process, and introducing yourself to us (https://apps.ivey.ca/mba/introduce-yourself/) will allow one of our Recruiting Managers an opportunity to speak with you about the various decision points worth considering. Q: What’s one final piece of advice you’d like to share with every Ivey MBA applicant? A: Be able to clearly communicate your narrative, or story, about past training (education and leadership), current professional experience, and future career goals. Articulating this narrative, and how the Ivey MBA fits with your experiences and future goals, is important in being able to demonstrate that you will contribute to the class and that Ivey is aligned with your goals. Let us know in the comments below if there are any questions you’d like us to ask the Adcoms on your behalf!